If you’re like me, your motivation to work out can quickly fade away as the day goes on. I almost always run as early as I can in the morning to get my run in, so that way I’ll have less time to talk myself out of it. (This is especially true when I’m feeling less motivated than I’d like.) I successfully trained for two marathons and a handful of half marathons by finishing every run except my long run before 7 AM. 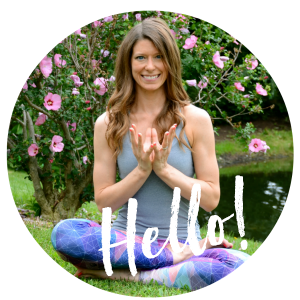 So, I wanted to share my early morning running tips and the habits that I formed that helped me become a morning exerciser and runner. Work on setting a schedule and stick with it. I think this is a habit almost every runner who runs in the morning has picked up. It’s easier on your body to just wake up early every morning at approximately the same time than it is to bounce around with your wake up time. I’m not saying that you can’t ever sleep in, but I am saying that if you consistently sleep in, it’s harder for most people to get up early on the days when they need to. Set everything out the night before. You don’t want to be wasting time in the morning trying to decide what to wear or wondering where your Garmin is. It’s so much easier to grab everything and go. 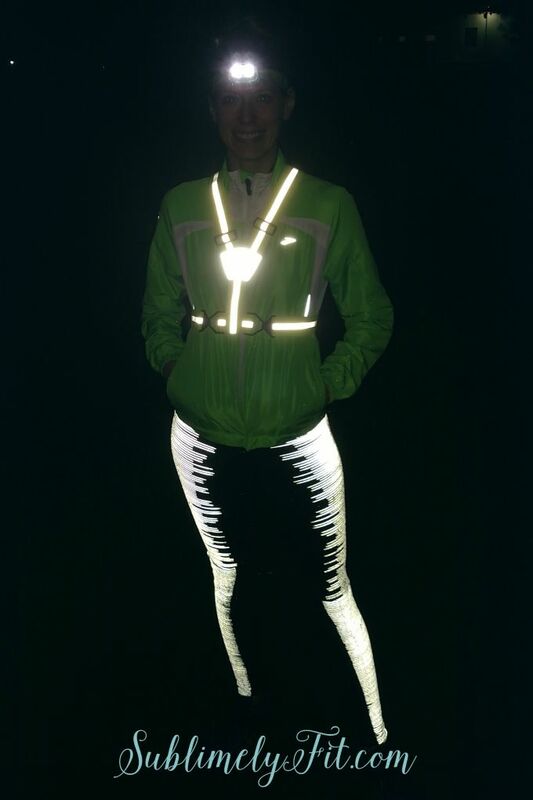 Check the weather report the night before so you can plan out what to wear on your run. If you need coffee in the morning to function and you have a coffee maker with a timer, set it to brew you a cup of coffee as you wake up. If you’re running more than just a couple miles, plan your hydration and fuel. Set yourself up for success in the morning. Safety first! As the days get shorter, it’s incredibly important to be safe if you’re running before dawn. Reflective materials and lights really are a must. A lot of drivers are still groggy early in the morning and you want to be as visible as possible. I personally always carry pepper spray with me, too—I’ve run across some critters out and about early in the morning in more wooded areas, and I’d rather be safe than sorry. Don’t think about it; just go. This may be the most important of my early morning running tips. If your alarm goes off and you lay in bed thinking about how tired you are, you’re much more likely to decide that staying in bed seems like a better option. I make myself get up and go before I have time to talk myself out of it. Especially if I’m starting out right at dawn or a little before, once I start going and once the sun starts to come up, I wake up a little more. Bonus: watching the sunrise on a run is one of the best parts about running early in the morning. 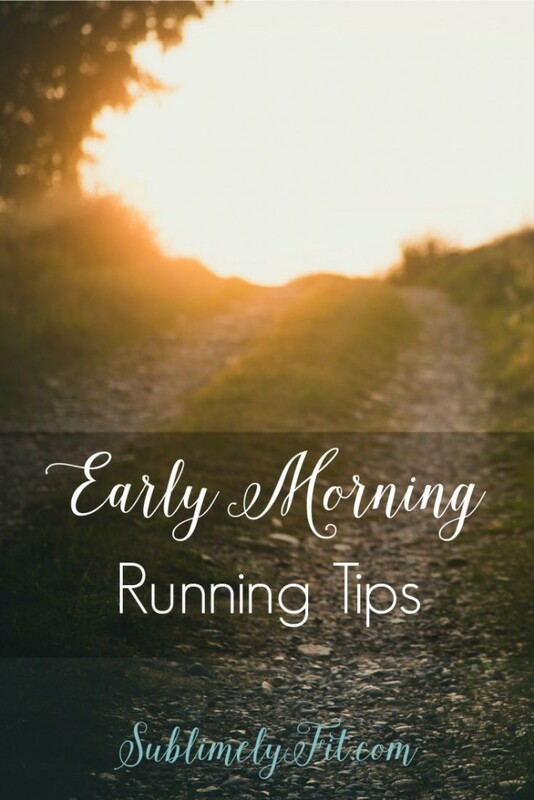 Morning runners: what are your early morning running tips? When the days get busier, my workouts begin earlier and earlier. There is something very rewarding about having the discipline to get up and run while everybody else is drooling on their pillows. Rise and grind! Absolutely! When I was training for my first marathon, I was following one of the plans in Advanced Marathoning and doing a mid-week medium-long run. I felt so satisfied knowing that I was finished running 14 miles before most of the people I knew were awake, definitely before they were at work. Such an amazing feeling. Thanks for commenting, Jason! I haven’t gotten up early enough to run with the sunrise in a long time. It is such a joy! Great tips. I’d say the don’t think idea really works. It helped me with my early work mornings for long. Just accept that it is what you are going to do. Don’t think about it, just go is critical. I need to eat beforehand, but when it is time to get going, you just gotta rip that bandaid off! Yes, right? And the more you practice the banaid-ripping, the easier it gets. Great tips! I used to run in the morning all the time, and having everything laid out is critical – it makes it faster to get out the door. I love the accomplishment of early morning runs – plus then you can relax when work or school is done! Thanks, Laura! I’m totally with you on the relaxing in the evening. It’s nice to not have to stress about getting in a workout later in the day. Right there with ya, Alyssa! On the mornings when I do have to root around for a different shirt or shorts, it gives me time to think about how much I’d rather be in bed, which is always a bad idea. Sounds like you have a great routine going! Love my weekend morning runs, but don’t have time before work as I have to be up at 5:something. Yeah, it definitely doesn’t work for people who have to be at work really early. I don’t envy you having to run after work in the Charleston heat at the beginning of the school year! Thanks! I think that these tips are useful for the cold weather like that. Running in winter is not easy, especially, if we run in the morning. I often have this routine. And your article is useful for me. Hi Beth, I agree with you as my motivation to work out can quickly fade away as the day goes on. Actually, one thing that keeps me motivated is a good pair of running shoes. 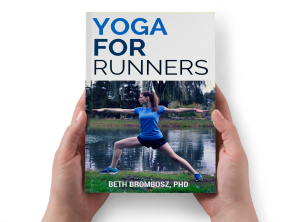 Apart from the fact that it will help me avoid unwanted foot injuries like plantar fasciitis, it also makes me feel great after long hours of workout and running. I find it fascinating that we can have our pick when it comes to shoe style suited for our activities.